Today we celebrate Beaumont on the one year anniversary of his arrival at the shelter. During the past year he's watched lots of other dogs come and go, waiting patiently for his turn. So as much as we love him, the very BEST gift he could get would be a forever home of his own! 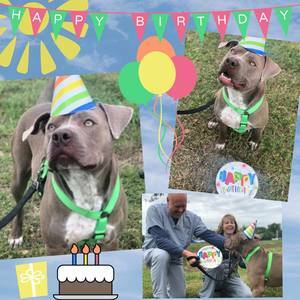 Come by the shelter today or any day to meet Beaumont to see if you might be the one to grant his birthday wish!